Helping Communities Rebuild After Disaster Strikes - Commercial Structures Corp. Though some natural disasters, like earthquakes, may last just a few seconds, they can leave communities in ruins for months or even years. Nepal, for example, has still yet to recover from the devastation struck by a series of earthquakes in 2015. Now, more than two years later, only about 5% of the affected population has successfully been able to rebuild their homes — leaving about 800,000 people still homeless. Nepal is not alone in struggling to bounce back in the wake of a disaster. Post-disaster rebuilding challenges occur worldwide — including in the United States. Often, these obstacles stem from high construction costs, a lack of sufficient material resources, and inadequate information available for affected individuals. However, modular disaster relief shelters — such as the various modular building designs offered by Commercial Structures Corp. — can help communities overcome these challenges and rebuild faster. Modular solutions involve the assembly of a prefabricated building unit — usually produced offsite in a factory or other setting — to construct a pre-engineered building or home. Once delivered from the plant to the worksite, the individual units are fit together as needed for the specific application. This type of construction has a number of advantages, making it increasingly popular in communities hit by natural disasters. From disaster relief shelters to schools and classrooms, modular structures can help entire communities rebuild quickly and cost-efficiently. One of the greatest advantages of modular structures is the time they save in the rebuilding process. Because only prefabricated materials are needed, modular home construction takes about half the time it takes to build a traditional home from the ground up. Also, with modular construction, workers can build a new, safe structure in the same amount of time it would take to make extensive repairs on an existing building. Many contractors who specialize in modular homes also have relationships with local governments, speeding up the processes required to secure proper permits and conduct necessary inspections. And, of course, less time spent building means lower costs for the consumer as well. Thanks to its quick build-time, modular construction can also be used for other structures in the wake of a disaster. Modular bathrooms, showers, and other disaster relief shelters can all provide much-needed comfort and convenience. These structures can also be specially designed to accommodate certain needs and large groups of people. Prefabricated modular homes are designed to meet current building codes aimed at protecting homeowners from future dangers; this can be especially important for people living in areas vulnerable to natural disasters. Building a new modular home, rather than simply repairing an older existing one, ensures that homes are constructed with the safest and most resilient materials available. Features like noncombustible doors, insulating-glass windows, and fire-resistant exteriors made of materials such as stucco or masonry help reduce the risks inherent to older homes, many of which were constructed prior to the implementation of modern building codes. Choosing to rebuild rather than just repair can eliminate other problems as well, such as structural damage caused by fires or mold growth caused by floods. Modular disaster relief shelters fitted to current codes and standards are also more sustainable and eco-friendly. 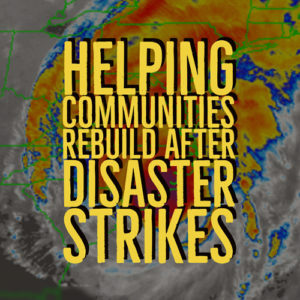 Commercial Structures Corp. is committed to helping communities affected by a disaster, rebuild and regain their lives. For over 30 years, we have fully dedicated ourselves to constructing high-quality modular structures — including medical buildings, clinics, and classrooms — at reasonable costs. We understand the trauma that disaster can bring, and our modular disaster relief shelters can help people get back on their feet as soon as possible. 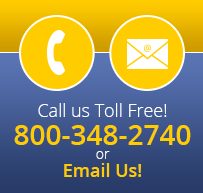 To learn more about our modular building options, visit our comprehensive custom buildings web page.